Références équivalentesBERU : ZSE 034 - ZSE034 - 0040102034 -ZSE 043 - ZSE043 - 0040102043. Type de bobine d'allumage : Bobine de type crayon. Lot de 6 bobines d'allumage de type crayon pour moteur 2.7l Turbo essence et 2.4 i 165ch V6. REF: 8E0907401J. CALCULATEUR MOTEUR BAU 2.5TDI V6. P OUR AUDI A6 C5. PIÈCE D 'OCCASION ORIGINE AUDI. 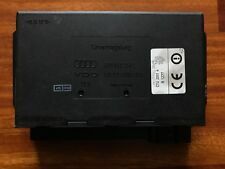 Audi A6/S6/RS6/Allroad C5 Confort control unit. Used but in good condition- Audi ref number: 4B0 962 258 L.
Manufacturer Part Number 4D0919146B. Nous avons ici le véritable module de télévision analogique pour A6 S6 RS6 C5 4B 1997-2004. Peut convenir à d'autres véhicules Audi. Unit Type Unit. _gsrx_vers_841 (GS 7.0.16 (841)). Verkäufer speichern. Unser Profil. Wir werden eine Lösung finden. Sicher einkaufen! The New and Used Audi Parts Specialist for all Audi models worldwide. Audi Part Number: 4Z7 907 553 F. It may fit others. PART NUMBER 4F0959793P changed to 4F0959793N N448. BUT CAN VARY ! RRP £155.74 FROM AUDI. This is NOT Plug & Play item. Nearly all electrical components requires professional reprogramming. We DON'T have car VIN numbers, because we don't brake cars. All screws are marked. SECURITY MARKS. All our parts are used second hand and off the shelf so may have storage marks on them. MAKE SURE THE PART NUMBER MATCH WITH YOUR OLD PART. Manufacturer Part Number 4B0035411. Custom Bundle No. Country/Region of Manufacture Germany. Modified Item No. The New and Used Audi Parts Specialist for all Audi models worldwide. Audi Part Number: 8E0 919 283. It may fit others. GOOD USED CONDITION, FULLY WORKING ORDER! ANY LOCATION OUTSIDE THE UK. Arran - KA27 KA25. Oban - PH 33, PA20-49, PA60-80, KA28. Inverness - ALL. Shetland ZE1-3. Orkney KW15-17. Manufacturer Part Number 4B0959643C. Custom Bundle No. Country/Region of Manufacture Germany. Modified Item No. BODY TYPE: 5 DOOR, ESTATE, QUATTRO. MAKE: AUDI. PART NUMBER YEAR: 2004. All our parts are used second hand and off the shelf so may have storage marks on them. ENGINE CODE ASB. Diesel 2.5 TDI V6 177 bhp. Engine Code If you are not happy for whatever reason, we want to know about it. Channel Islands. Isle Of Man. Scottish Isles. Scottish Highlands. Scottish Ireland. 4H0907428A 4H0 907 428A. RS7 2014 Onwards . A7 2011 - 2014 . RS6 2013 Onwards . A8 / S8 2010 Onwards . A6 / S6 (C7) 2011 - 2014 . This is a new,genuine Audi part. Part number. RS6 2008 - 2011. This is a new,genuine Audi part. Part number. Alternative part numbers. If you are not happy for whatever reason, we want to know about it. Channel Islands. Isle Of Man. Scottish Isles. Scottish Highlands. Scottish Ireland. North Ireland. or outside UK Mainland witch is not include. The part number is 4B2 919 894. Manufacturer Part Number 4Z7907553F. Le Neufs et d’occasion Audi pièces detachées pour tous les modèles Audi dans le monde entier. 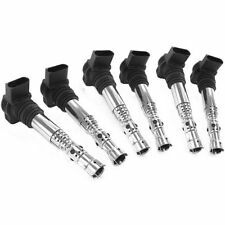 Référence Audi: 4Z7 907 553 F. Compatibilité est assurée sur quelques annonces pour donner une indication de certaines des voitures que cette partie peut s’adapter. Trim Colour If you are not happy for whatever reason, we want to know about it. Channel Islands. Isle Of Man. Scottish Isles. Scottish Highlands. Scottish Ireland. North Ireland. RS7 2014 >>>. A7 2015 >>>. Part number: 4G1 035 021 A. Part number: 4G0907387 4H0998552. Manufacturer - AUDI. Fuel - Diesel. The New and Used Audi Parts Specialist for all Audi models worldwide. Audi Part Number: 4Z7 907 401 B. It may fit others. The New and Used Audi Parts Specialist for all Audi models worldwide. Audi Part Number: 4Z7 959 655 H. It may fit others. Cod. : 4Z7907401B. Centralina Motore. CODICE FISCALE O PARTITA IVA. RAGIONE SOCIALE. INFO FATTURAZIONE. INFO MATERIALE. Manufacturer Part Number 8E0919283. Le Neufs et d’occasion Audi pièces detachées pour tous les modèles Audi dans le monde entier. Référence Audi: 8E0 919 283. Compatibilité est assurée sur quelques annonces pour donner une indication de certaines des voitures que cette partie peut s’adapter. Good working order. May fit other models. Please check part numbers/pictures before ordering to ensure you have the correct part you need. Any questions feel free to ask. Free UK postage!